Haruka Moriyama was born and raised in Japan where she studied contemporary dance as her central focus during her undergraduate studies. After training in theatre and dance in Japan, she moved to New York City to study at the Alvin Ailey American Dance Center and the Martha Graham School of Contemporary Dance. After years of dance performance, she found herself with the desire to find an art that was more expressive than dance. Consequently, in 2000, she discovered mime and immersed herself mime and physical comedy under Gregg Goldston in New York City. 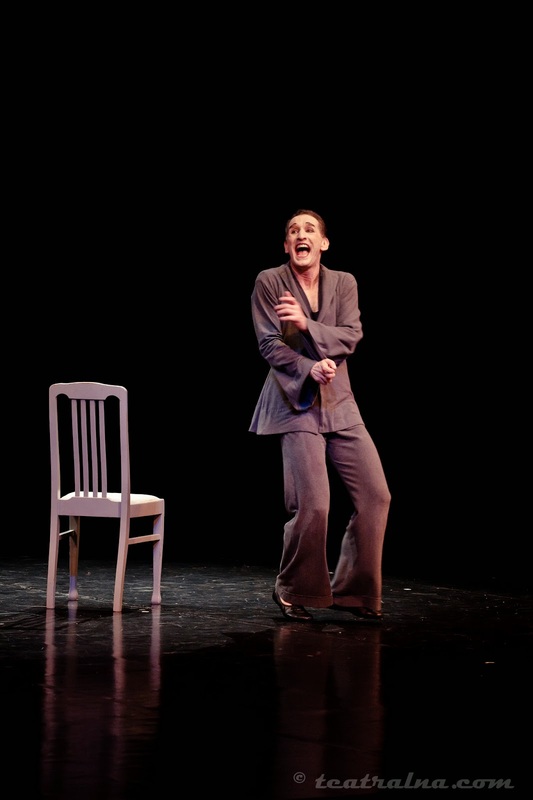 By 2004, her talent and unique understanding of mime led Goldston to invite her to collaborate with him to develop new concepts and technical innovations. For the next several years, they spent countless hours in the studio combining elements of French, Polish and American styles of mime techniques and acting methods. Since 2007, she has served as Goldston's assistant at his New York Studio and in various settings on tours. Although she attributes Goldston the primary influence on her artistic philosophy and style of performance, she has continued to expand her training with other artists. In 2004 - 2005, she studied at "Le Mime Corporeal Dramatique" with Ivan Bacciocchi in Paris, France. She has also attended The School for Mime Theatre in the USA, working with C. Nicholas Johnson, Rick Wamer and Lorie Heald. Her performances have led her across several countries since 2003, when she and Kuni Mikami, a jazz pianist created "IMIMENATION" a mime/ jazz piano collaborative performance. They have since toured their show the US, Japan, Portugal, Brunei, the Philippines, Nicaragua, Honduras, Dominican Rep., Puerto Rico, and Australia, where they had an opportunity to perform at the Sydney Opera House. In New York City, she co-founded “The Funny Bones” with Gregg Goldston and Mike Kramer and performed for Lincoln Center's "Meet the Artist" Series for four consecutive seasons. In 2013, Haruka served as a faculty member at The Goldston Mime Intensive in Rieti, Italy and later formed The Goldston Moriyama Institute for Mime together with Gregg Goldston. In a mime performance, it is critical to give the essential visual information on "Where the character is" at the very beginning of a scene as quickly as possible, whether it is an indoor space, outdoor space, or even “no-place” in an abstract environment. 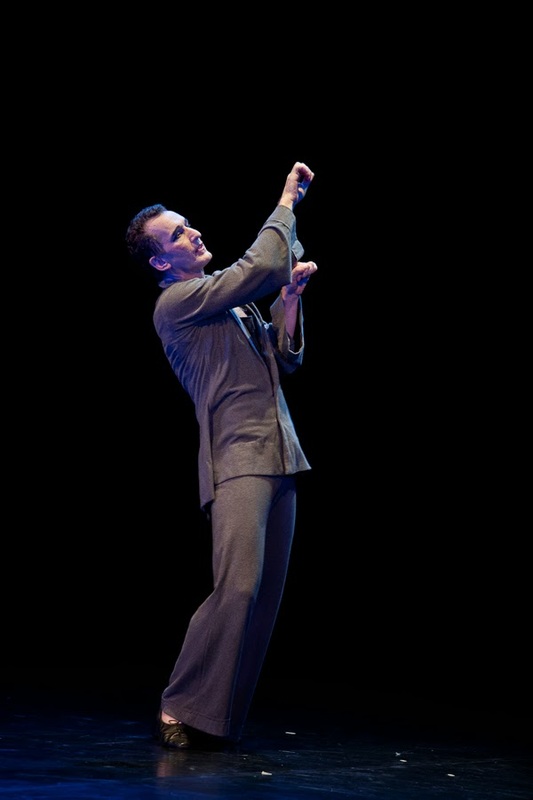 Gregg Goldston in "Loves Me Not"
Gregg Goldston in "Here Again"